Foundation Stage have been hard at work forming a pop group and using tablets to create their masterpieces. Year 1 have designed new lands in need of exploration. They then used code to navigate their explorer friends around the unknown lands. Similarly to Year 1, Year 2 created mystical forests and then navigated their friends around, using code blocks... No talking allowed. Year 3 were on Purple Mash, attempting to solve some Jumping Monkey coding conundrums... How far did they get? Year 4 followed precise algorithms in order to create a paperplane... After following the design spec carefully, they tested their folding skills to see who's plane would go the furthest. What did they find challenging? How was this similar to a computer following code? Year 5 had to use mot only their coding skills but also their geography skills as they codes friends across the States. Year 6 had an insight in to artificial intelligence machine learning. First researching the Harry Potter houses then adding their findings to a machine learning program in order to create a sorting hat. Logins to come home so they can play on other models... The possibilities are endless. 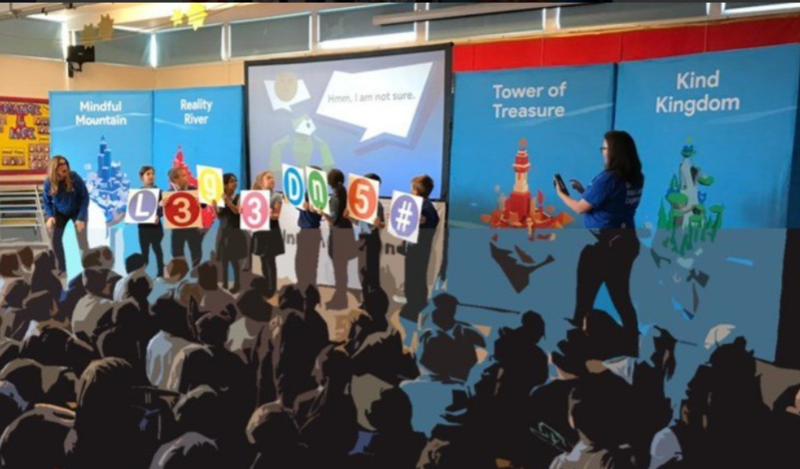 KS2's afternoon was finished off with a fantastic assembly from Google, allowing them to all become... Internet Legends (don't forget the free game).